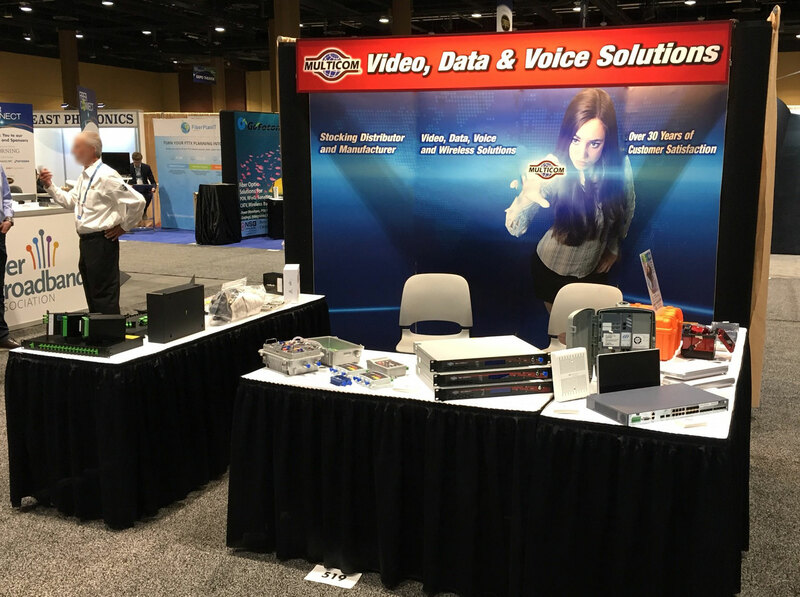 Orlando, FL – June 2017 – Multicom, Inc. is introducing its next wave of new Fiber Optic Actives and Passives, based on Corning fiber, and now priced at historically low prices, at 2017 FTTH CONNECT, Booth #519, on our home turf in Orlando, FL, June 12-14, 2017. This year we are very excited to feature our new Fiber Optic Fusion Splicer – build to go anywhere you go – with incredible splicing (7 seconds) and heat shrinking (9 seconds) speeds that are setting the new industry standard. 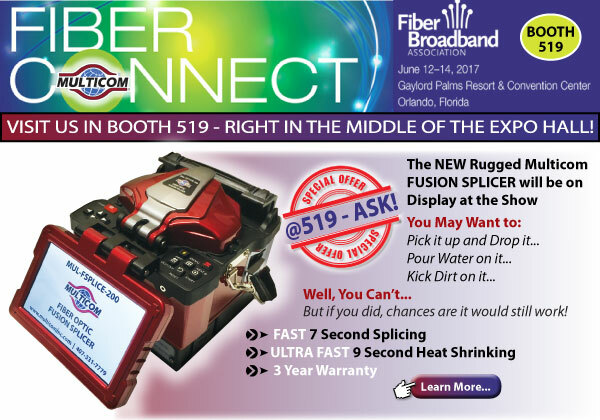 With a 3-Year Warranty, this rugged, all-weather Fusion Splicer is something you are not going to want to miss – especially at the 2017 FTTH Connect Special Price of $2,995! See for yourself in Booth 519. Multicom is also announcing extraordinary promotional pricing for its next generation Fiber Optic Actives and Passives with details on the Multicom website and at the show.